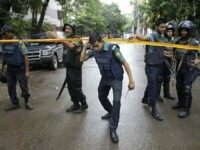 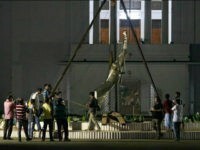 Bangladeshi authorities failed to heed online warnings of an imminent attack in the capital of Dhaka on July 1, reports Reuters. 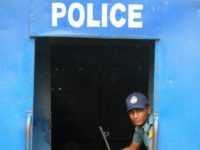 Less than a week after the Islamic State carried out an unprecedented attack in the capital of Bangladesh, Islamic jihadists have struck a second time, attacking Bangladeshi police guarding the country’s biggest festival marking the end of Ramadan. 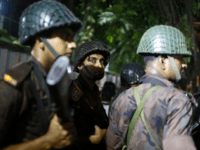 The Islamic State (ISIS/ISIL) has claimed responsibility for the terrorist attack in Bangladesh that killed at least 20 hostages, but some officials doubt the jihadist group carried out the massacre. 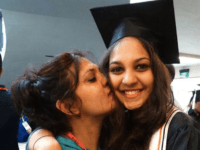 18-year-old University of California Berkeley student Tarishi Jain was among over 20 people murdered Friday when Islamic fundamentalists shot and brutally hacked to death bakery patrons and police officers in the diplomatic district of Dhaka, Bangladesh. 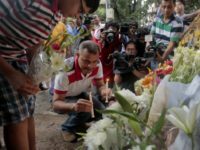 Prime Minister of Bangladesh Sheikh Hasina issued a statement following the murder of twenty people, mostly foreign nationals, at the hands of Islamic State-affiliated jihadis Friday insisting that “Islam is a religion of peace” and jihadists are “tarnishing” the faith. 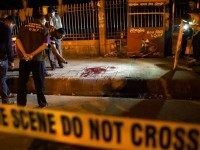 The Islamic State’s affiliate in Bangladesh claimed responsibility for an attack on a Shiite mosque that killed one person and injured three others.